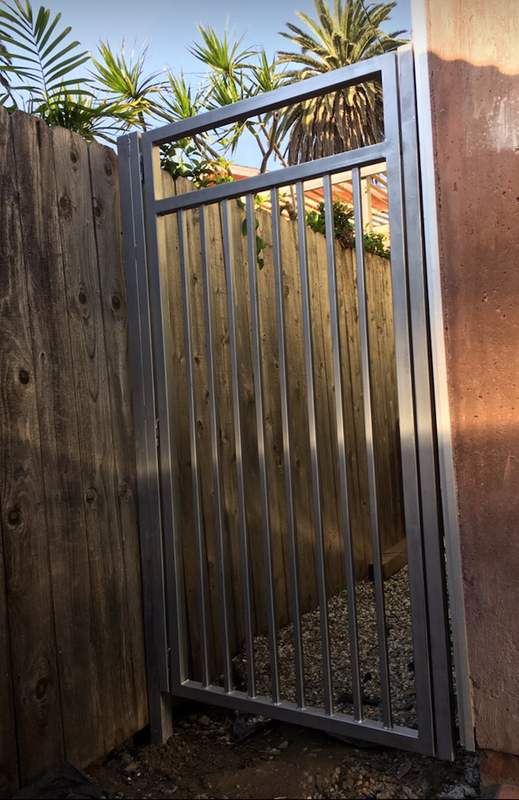 Wrought Iron Fencing and Gate Installation in Los Angeles. We specialize in custom iron and steel fence design and installation. We service Beverly Hills, Santa Monica, Venice and Culver City. Wrought Iron fencing and steel fences and gates are basically the same thing. The main difference is the iron is solid metal, while the steel is hallow tubing. The tubing is lower cost and still very beautiful. We typically use primer and paint as opposed to powder coated fences. Powder coating, in our opinion is an extended cost that is not 100% guaranteed to last any longer than standard paint. The problem with powder coating is that the fence will rust from the inside and you cannot see it. All of a sudden your metal fence is rusted and falling apart. Especially in the Venice Beach, Santa Monica, Beverly Hills, Marina Del Rey areas of Los Angeles. 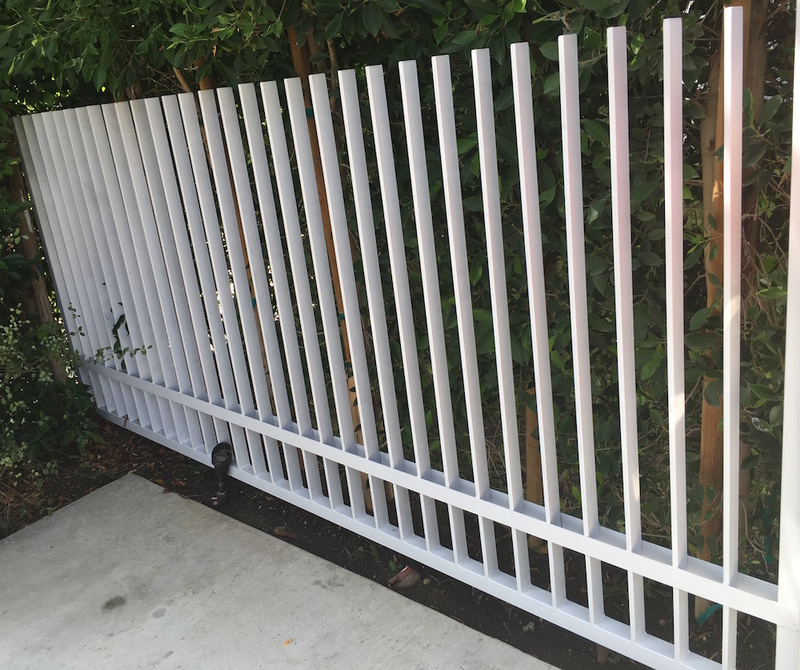 When you just add primer and paint and you see some rust forming on your fence or gate, you can just touch it up with metal paint to extend the life of the metal. With powder coating, if it starts to rust, you cannot really touch it up. Both methods are great, but 99% of our fences, gates and driveway gates are installed using the standard painting method. These are a couple of examples of our iron driveway gate frames below this beautiful sunset. 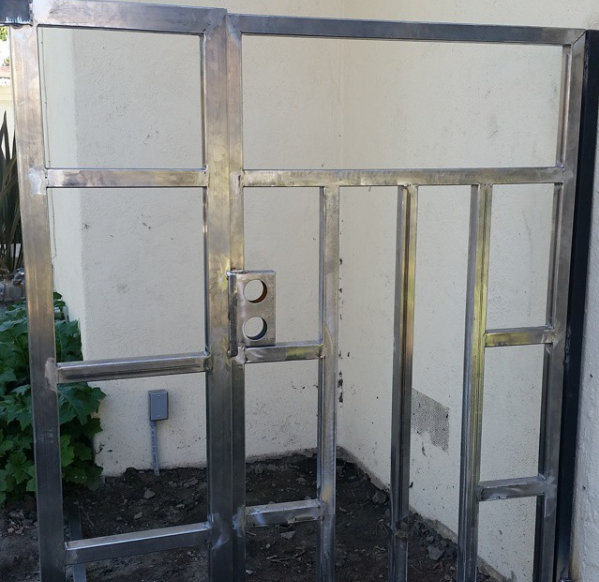 The first image is a new idea where we add more design to the driveway gate frame and leave the steel frame exposed. The wood will be installed on the back the framework. Image 2 is set up for an electric, motorized gate installation. THIS IS A GREAT ALTERNATIVE TO REPLACING YOUR OLD STEEL FENCE. WE ADD BEAUTIFUL CUSTOM WOOD INSTALLATION WITH OUR FINISH WORK, TO CREATE THIS AMAZING NEW LOOK!